Edwards, J. P., Fujii, H., Zhou, A. X., Creemers, J., Unutmaz, D. and Shevach, E. M. (2013). Regulation of the expression of GARP/latent TGF-beta1 complexes on mouse T cells and their role in regulatory T cell and Th17 differentiation. J Immunol 190(11): 5506-5515. Zhou, A. X., Kozhaya, L., Fujii, H. and Unutmaz, D. (2013). GARP-TGF-beta complexes negatively regulate regulatory T cell development and maintenance of peripheral CD4+ T cells in vivo. J Immunol 190(10): 5057-5064. Okamoto, A., Torigata, K., Sakurai, M. A., Okuzaki, D., Fujii, H., Ohmine, T., Miura, D., Kimura, S., Yabuta, N. and Nojima, H. (2012). A simple and efficient method for the preparation of live leukocytes from peripheral blood using the LeukoCatch system. Advances in Bioscience & Biotechnology 3(5). Hutchins, A. P., Poulain, S., Fujii, H. and Miranda-Saavedra, D. (2012). Discovery and characterization of new transcripts from RNA-seq data in mouse CD4(+) T cells. Genomics 100(5): 303-313. Juliana, F. M., Nara, H., Onoda, T., Rahman, M., Araki, A., Jin, L., Fujii, H., Tanaka, N., Hoshino, T. and Asao, H. (2012). Apurinic/apyrimidinic endonuclease1/redox factor-1 (Ape1/Ref-1) is essential for IL-21-induced signal transduction through ERK1/2 pathway. Biochem Biophys Res Commun 420(3): 628-634. Saint Fleur, S., Hoshino, A., Kondo, K., Egawa, T. and Fujii, H. (2009). Regulation of Fas-mediated immune homeostasis by an activation-induced protein, Cyclon. Blood 114(7): 1355-1365. Wang, R., Kozhaya, L., Mercer, F., Khaitan, A., Fujii, H. and Unutmaz, D. (2009). Expression of GARP selectively identifies activated human FOXP3+ regulatory T cells. Proc Natl Acad Sci U S A 106(32): 13439-13444. Fujii, H. (2009). Novel reporter cell line to analyze cytokine-mediated expression regulation of c-myc gene. J Biosci Bioeng 108(5): 438-440. Fujii, H. and Hoshino, A. (2009). Lack of nuclear translocation of cytoplasmic domains of IL-2/IL-15 receptor subunits. Cytokine 46(3): 302-308. Wang, R., Wan, Q., Kozhaya, L., Fujii, H. and Unutmaz, D. (2008). Identification of a regulatory T cell specific cell surface molecule that mediates suppressive signals and induces Foxp3 expression. PLoS One 3(7): e2705. Fujii, H. (2008). Receptor expression is essential for proliferation induced by dimerized Jak kinases. Biochem Biophys Res Commun 370(4): 557-560. Singh, A. P., Buscaglia, C. A., Wang, Q., Levay, A., Nussenzweig, D. R., Walker, J. R., Winzeler, E. A., Fujii, H., Fontoura, B. M. and Nussenzweig, V. (2007). Plasmodium circumsporozoite protein promotes the development of the liver stages of the parasite. Cell 131(3): 492-504. Hoshino, A. and Fujii, H. (2007). Temporal regulation of Stat5 activity in determination of cell differentiation program. Biochem Biophys Res Commun 358(3): 914-919. Hoshino, A., Hirst, J. A. and Fujii, H. (2007). Regulation of cell proliferation by interleukin-3-induced nuclear translocation of pyruvate kinase. J Biol Chem 282(24): 17706-17711. Hoshino, A. and Fujii, H. (2007). Nuclear translocation of 2-amino-3-ketobutyrate coenzyme A ligase by cold and osmotic stress. Cell Stress Chaperones 12(2): 186-191. Hoshino, A. and Fujii, H. (2007). Redundant promoter elements mediate IL-3-induced expression of a novel cytokine-inducible gene, cyclon. FEBS Lett 581(5): 975-980. Fujii, H. (2007). Cell type-specific roles of Jak3 in IL-2-induced proliferative signal transduction. Biochem Biophys Res Commun 354(3): 825-829. Hoshino, A., Saint Fleur, S. and Fujii, H. (2006). Regulation of Stat1 protein expression by phenylalanine 172 in the coiled-coil domain. Biochem Biophys Res Commun 346(3): 1062-1066. Hoshino, A., Matsumura, S., Kondo, K., Hirst, J. A. and Fujii, H. (2004). Inducible translocation trap: a system for detecting inducible nuclear translocation. Mol Cell 15(1): 153-159. Tucker, S. N., Jessup, H. K., Fujii, H. and Wilson, C. B. (2002). Enforced expression of the Ikaros isoform IK5 decreases the numbers of extrathymic intraepithelial lymphocytes and natural killer 1.1+ T cells. Blood 99(2): 513-519. Gilmour, K. C., Fujii, H., Cranston, T., Davies, E. G., Kinnon, C. and Gaspar, H. B. (2001). Defective expression of the interleukin-2/interleukin-15 receptor beta subunit leads to a natural killer cell-deficient form of severe combined immunodeficiency. Blood 98(3): 877-879. Tsujino, S., Di Santo, J. P., Takaoka, A., McKernan, T. L., Noguchi, S., Taya, C., Yonekawa, H., Saito, T., Taniguchi, T. and Fujii, H. (2000). Differential requirement of the cytoplasmic subregions of gamma c chain in T cell development and function. Proc Natl Acad Sci U S A 97(19): 10514-10519. Tsujino, S., Miyazaki, T., Kawahara, A., Maeda, M., Taniguchi, T. and Fujii, H. (1999). Critical role of the membrane-proximal, proline-rich motif of the interleukin-2 receptor gammac chain in the Jak3-independent signal transduction. Genes Cells 4(6): 363-373. Takaoka, A., Tanaka, N., Mitani, Y., Miyazaki, T., Fujii, H., Sato, M., Kovarik, P., Decker, T., Schlessinger, J. and Taniguchi, T. (1999). Protein tyrosine kinase Pyk2 mediates the Jak-dependent activation of MAPK and Stat1 in IFN-gamma, but not IFN-alpha, signaling. EMBO J 18(9): 2480-2488. Fujii, H., Ogasawara, K., Otsuka, H., Suzuki, M., Yamamura, K., Yokochi, T., Miyazaki, T., Suzuki, H., Mak, T. W., Taki, S. and Taniguchi, T. (1998). Functional dissection of the cytoplasmic subregions of the IL-2 receptor betac chain in primary lymphocyte populations. EMBO J 17(22): 6551-6557. Miyazaki, T., Takaoka, A., Nogueira, L., Dikic, I., Fujii, H., Tsujino, S., Mitani, Y., Maeda, M., Schlessinger, J. and Taniguchi, T. (1998). Pyk2 is a downstream mediator of the IL-2 receptor-coupled Jak signaling pathway. Genes Dev 12(6): 770-775. Fujii, H., Nakagawa, Y., Schindler, U., Kawahara, A., Mori, H., Gouilleux, F., Groner, B., Ihle, J. N., Minami, Y., Miyazaki, T. and et al. (1995). Activation of Stat5 by interleukin 2 requires a carboxyl-terminal region of the interleukin 2 receptor beta chain but is not essential for the proliferative signal transmission. Proc Natl Acad Sci U S A 92(12): 5482-5486. Miyazaki, T., Kawahara, A., Fujii, H., Nakagawa, Y., Minami, Y., Liu, Z. J., Oishi, I., Silvennoinen, O., Witthuhn, B. A., Ihle, J. N. and et al. (1994). Functional activation of Jak1 and Jak3 by selective association with IL-2 receptor subunits. Science 266(5187): 1045-1047. Tsutsumi, A., Kubo, M., Fujii, H., Freire-Moar, J., Turck, C. W. and Ransom, J. T. (1993). Regulation of protein kinase C isoform proteins in phorbol ester-stimulated Jurkat T lymphoma cells. J Immunol 150(5): 1746-1754. Fujita, T. and Fujii, H. (2016). Isolation of Specific Genomic Regions and Identification of Associated Molecules by enChIP. J Vis Exp(107): e53478. Fujii, H. and Fujita, T. (2015). Isolation of Specific Genomic Regions and Identification of Their Associated Molecules by Engineered DNA-Binding Molecule-Mediated Chromatin Immunoprecipitation (enChIP) Using the CRISPR System and TAL Proteins. Int J Mol Sci 16(9): 21802-21812. Fujita, T. and Fujii, H. (2013). Locus-specific biochemical epigenetics/chromatin biochemistry by insertional chromatin immunoprecipitation. ISRN Biochemistry 2013. Saint Fleur, S. and Fujii, H. (2008). Cytokine-induced nuclear translocation of signaling proteins and their analysis using the inducible translocation trap system. Cytokine 41(3): 187-197. Fujii, H. (2007). Mechanisms of Signal Transduction from Receptors of Type I and Type II Cytokines. J Immunotoxicol 4(1): 69-76. Taniguchi, T., Tanaka, N., Miyazaki, T., Fujii, H., Ishihara, M., Lamphier, M. S., Nozawa, H., Asano, Y. and Taki, S. (1996). Cytokine signaling and target genes. Mol. Biol. Cell 7, 955-955. Taniguchi, T., Miyazaki, T., Minami, Y., Kawahara, A., Fujii, H., Nakagawa, Y., Hatakeyama, M. and Liu, Z. J. (1995). IL-2 signaling involves recruitment and activation of multiple protein tyrosine kinases by the IL-2 receptor. Ann N Y Acad Sci 766: 235-244. Fujita, T. and Fujii, H. (2017). 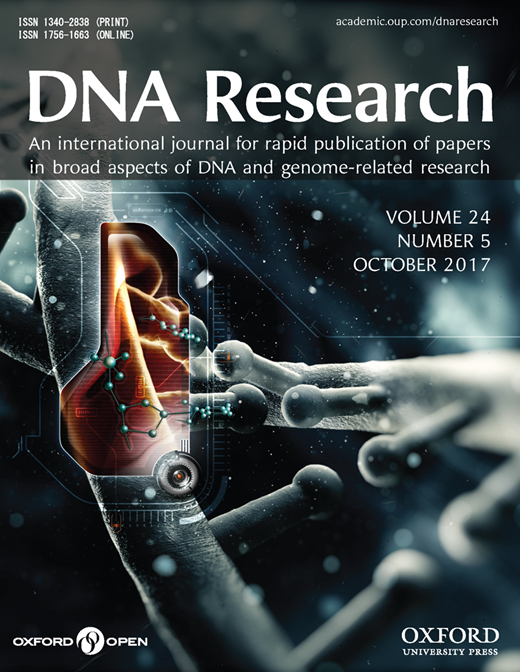 New directions for epigenetics: application of engineered DNA-binding molecules to locus-specific epigenetic research. In: Tollefsbol, T. O. (Ed). Handbook of Epigenetics, Second Edition, Academic Press (Elsevier): 635-652.